Hiram Floors is a family business with deep- rooted belief in the value of quality and craftsmanship. 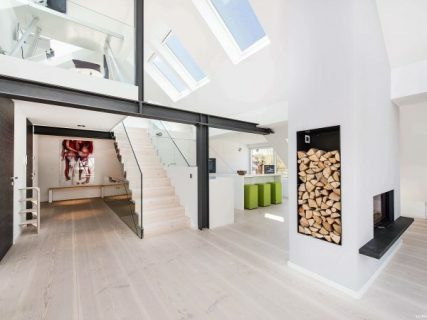 For your individual project, we provide premium solid & engineered wide plank floors, indiviual interior wood elements as well as premium exterior decking and cladding. 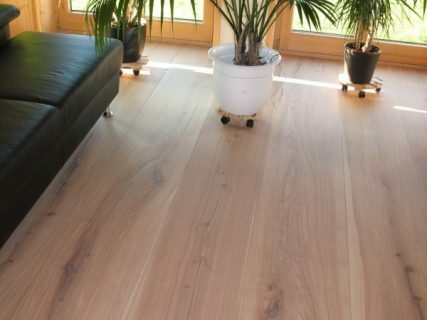 Solid and engineered wide plank flooring made of German Douglas fir. 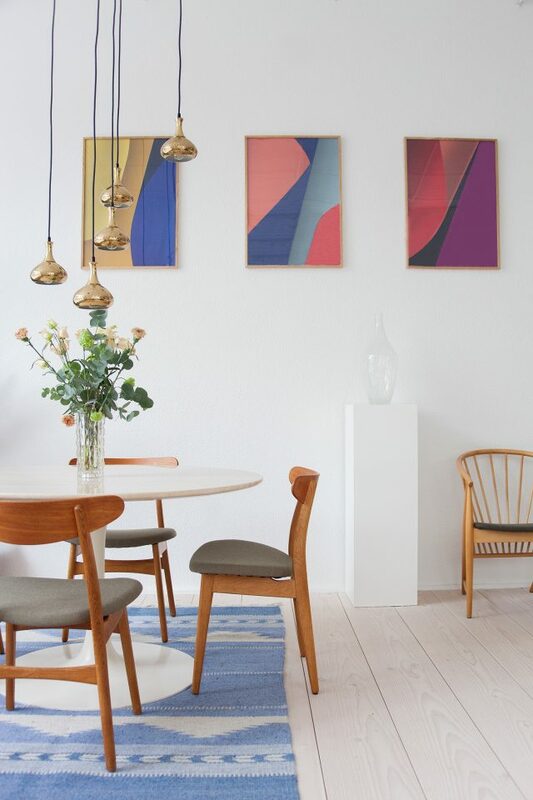 These particularly grand formats create a spacious atmosphere and highlight the architectural lines in a room. 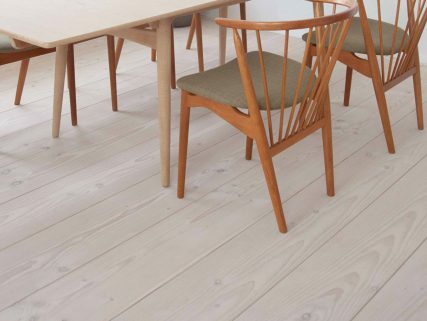 Treated with Lye and white Soap the wood of the Douglas fir accentuates modern and classic interior designs alike. A true Classic. Oak wide plank flooring flooring is very popular due to its durability and robustness as well as the very homogenous grain and honey coloured surface. The trees can be up to 200 years old out of which we produce solid and engineered planks which are up to 10 m long and 40 cm wide. Ash solid wide plank flooring is a very beautiful and unique alternative to Oak. The trees grow in local forests and come with a very fine grain and a small amount of knots. A typical characteristic is the brown core, which makes the species more and more rare. HIRAM FLOORS wide plank floors are the most natural and ancient form of wooden flooring. 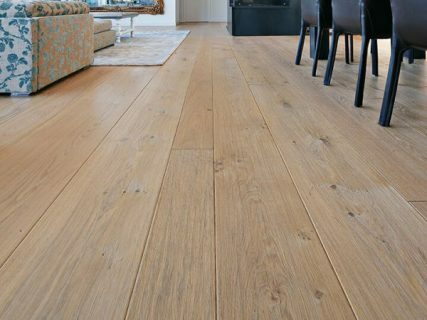 Already centuries ago, solid wooden planks were installed in castles, churches and mansions as flooring. Our exquisit floorboards are particularly impressive due to their large formats. We are specialized in local wood species such as Douglas fir, Oak and Ash, due to their beautiful colors, exceptional dimensions and high durability. While sourcing the raw material, we are always on the look- out for the best timber available. The trees are selected in local forests and then transported over short routes to our production facilities. Once arrived, the timber is sawn into wide boards, Kiln dried in state-of-the-art chambers and then crafted into wide planks. Precise machines and swiftly moving hands are linked together to create beautiful floorboards with tongue and groove, while each knot is examined and mended, if necessary. With every production step, the floorboards receive hands on attention and are regularly subject of quality control. 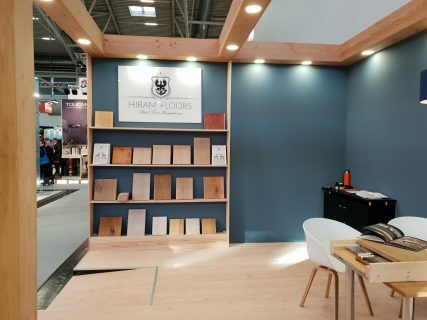 With 30 years in existence, HIRAM FLOORS has a remarkable history and a lot of experience in European wood species. What started out as a horese- logging company in the middle of the Black Forest, continued to evolve into an internationally operating company. Until today, we are set on providing sustainable and high- quality products, produced out of local wood species.